Each country in the world is given a cruelty rating. This would be similar to the credit ratings that various countries have. 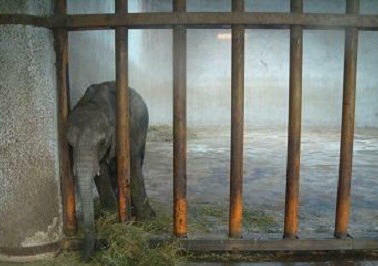 Zimbabwe sells wild elephant calves to China. Zimbabwe's "cruelty status" is reduced by a certain number of points. China as the receiver of elephants, is also deducted points from its "cruelty status." In the case of the Swaziland elephants to USA, Swaziland and the USA are both deducted points from their respective "cruelty status". 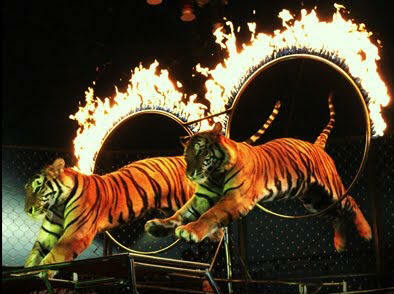 The United Kingdom bans the use of wild animals in circus acts. Points are added on to the "cruelty status" of the UK. 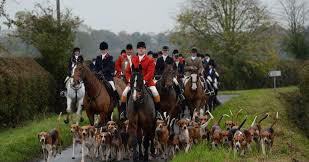 Fox hunting is banned in the United Kingdom, then its "cruelty status" is increased. 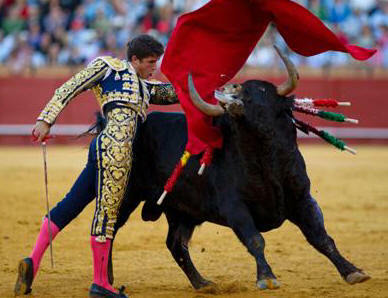 Bull fighting is allowed to continue in Spain, then this country loses points from its "cruelty status". Canned lion hunting is allowed to continue in South Africa, then its "cruelty status" is decreased. Now Mr Ban Ki-moon, if I am a traveler wishing to visit a certain country, I can simply dial up the "cruelty status" of the respective country and if it has a poor "cruelty status", then I may consider not visiting that country. I trust you will give my recommendation serious consideration. This is an open letter to yourself should you wish to share it with your followers. I have been receiving your information emails for the last three years and am a keen follower of the work you do. In fact, I am not just in awe of your achievements with Tiger Canyons, but admire the work you have done over years and years for wildlife conservation. Congratulations! However, I happen to be a sheep farmer myself. Over the three years of receiving your information emails, I have noticed over and over how you criticise farmers as if they are your enemy in the conservation process. Down to the ones who helped fight the fire back when lightning lit the veld. The way you are going, it sounds like they have a personal agenda to do nature and yourself in. I notice that you love to mention "bankruptcy" and how you bought the land for Tiger Canyons from "bankrupt" farmers. That is not entirely true. In fact I know some of the farmers that you bought land off a few years ago who sold because you could pay a premium for the land. Nothing to do with bankruptcy. In fact, between investors and tourism, your business is not doing too bad if it puts you in that sort of bargaining position. The next topic where you love to generalise the old stock farmer, is overgrazing. I am a conservation oriented farmer along with many other farmers I know. The amount of money that goes into erosion prevention, fences to prevent overgrazing in vulnerable areas, bores so animals does not run out the veld etc. is astronomical. It seems like you don't have a clue? Yes there are farmers that should never have been given the opportunity to own a piece of the planet because they cannot look after it, but the same counts for any occupation including some game rangers and some self proclaimed wildlife gurus. Fences are being put up in the Karoo to prevent overgrazing. Bores are being sunk in the Karoo to prevent overgrazing. How can you criticize tools and efforts to conserve the environment? For interest sake, does Tiger Canyons have any active bores or perhaps drinking troughs anywhere or is the property so fortunate that all the animals can drink form the Orange river and natural springs? Also, the new lodge that you have just built on the edge of the gorge, is there a comfortable path that leads to it so rich tourists can get there by motor vehicle, or does everyone hike up there like the Bushman. I am sure no vegetation or natural earth was disturbed during the construction of this project, otherwise Tiger Canyons would be just as bad as the farmer in destruction and potential creation of erosion. You blamed farmers for the one time when your tiger escaped Tiger Canyons and had to be put down. Let's turn the situation around. Lets say the farmer next door was farming animals that could kill your tigers and it escaped his land. Would you demand that the animal is captured straight away or being put down? Yes you would, because you are protecting the enterprise you are running. According to you the farmer destroys, ON SITE, Baboons, Bushman, caracal and jackal. I am a farmer and I can assure you that I have never destroyed a baboon or a Bushman. And despite a constant battle to control (destroy in your words) caracole and jackal, their numbers has multiplied over the years. But a good idea would be not to control jackal and caracal at all in the Karoo. This way the farmer would be extinct within the next 10-20 years and we can turn the whole Karoo into a natural predator sanctuary! Finally, if we remove all the fences off the earth, fill in all the bores and kill all the domestic animals that harms nature according to yourself, what do you think is going to happen. Is your rich investor type going to buy a bow and arrow and live off smoked springbuck meat and herbs along with all the rest of the earth's population? It is an ideal world in your eyes, but it will never happen. There is a place in the world for the farmer. Many, many farmers are conservationists like yourself and do their bit to look after nature. So many farmers, including myself supports your effort in saving the Tigers and other big cats. Stop criticizing and wrongly accusing farmers in general as these people are the ones with a true connection to the land and the creatures on it. All the best with Tiger Canyons and the financially well oiled Londolozi. Keep up the good work you do and while "Treading lightly on the earth" make sure you respect the people around you. Thank you for your email. I have nothing against farmers personally. Some of my best friends are farmers. When I was in mauled by the tiger, the farmers were the first to visit me in hospital. My fences and my lodge are being constructed by farmers. I have long admired the farmer's tenacity and their ingenuity. A "Boer Maak 'n Plan" is a cliché, but it is true! Farmers are generous and courageous. They have stood behind me during fire, flood and drought. In a symbiotic relationship, I have created a huge market for them for dead or injured domestic stock. I also pay them for warthogs which they shoot. These were previously shot and left to rot in the veld. To say that myself and the farmers are interrelated, is an understatement! Although I have tried to become vegetarian several times, my second favorite meat after venison is Karoo lamb. I also consume large quantities of mango and apple juice which are grown by fruit farmers. Therefore it is not the farmers I criticize, it is the land use systems which we have inherited, which I query. Like all of us, farmers can learn from nature. How did the Karoo once support between 100 and 300 million springbuck with no desertification? Today we support 9 million sheep on fenced areas, many downgraded and with lowered water tables. Perhaps if farmers joined their farms together in low rainfall areas, they may have a better chance of combating the drought. If they created more mobility, the chances of animals reaching the rain, are greater. It's a fallacy that I regard my form of land use as superior to farming. If the present government continues to mismanage the country and crime continues to rise and unrest grips urban and rural areas, then no one will be interested in visiting and photographing my tigers. Zimbabwe is a classic example of how tourism suffers when a country is mismanaged. No tourists = no income = no jobs. Under this scenario, I would quickly become a farmer, a game farmer. Again nature can teach us many valuable lessons. How wise was it to destroy 100 million perfectly adapted springbuck and swop them for non-indigenous sheep, goats, cows and horses? The farmers that I know are clever, resourceful and opportunistic. They have to be to survive in the Karoo. They know that buffalo bulls are selling for R40 million. A rhino for R250 000. A roan antelope for R300 000 or more. Increasingly they are incorporating wild life in their farming management strategy. They are hedging their bets with domestic stock and wildlife. This is smart. This is learning from nature. Thank you for your email. You make many valuable points. I invite you to visit Tiger Canyons.